The Urban Nomads: Less Than Two Weeks To Go! It is official, I have broken the two week mark until Total Debt Freedom Day. It is less than two weeks before I am totally debt free and living in Banff for the week to celebrate. To be honest, today marks exactly one month until the 7th of November when I will pay off my Low Interest Credit Card and thereby technically pay off my last debt. Yet with the Wanda Loan being my last and largest debt, and my last contractually obligated monthly bill/debt, I am calling this one done. But, by all means ignite a large debate over social media over this and thereby driving a tsunami of traffic to my humble blog. Anywhoos, I am starting to let myself get a bit more excited, yet at the same time I am cautious. I am trying to walk that line; letting myself enjoy this, yet not get to careless, cocky, or sloppy, and in the process, sabotage my efforts. I am still going over my checklists and budgets; ensuring that I am doing what I need to do to pay off the Wanda Loan. I am doing my due diligence. I am starting to plan for life beyond Total Debt Freedom Day, however. I am putting my goals in order on what I want to, by when and how . . . all after Total Debt Freedom Day. 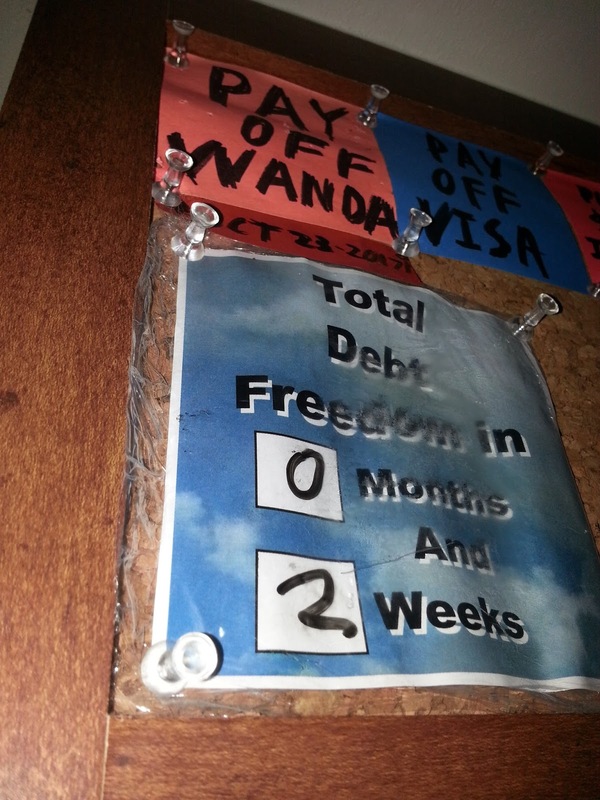 As I have said before Total Debt Freedom Day is a Crossroads Goal, not a destination. You do not stop at a Crossroads, you: pause, reflect, and move forward, ever onwards towards your next Crossroads Goal, in the never ending quest to continually better yourself and your life.